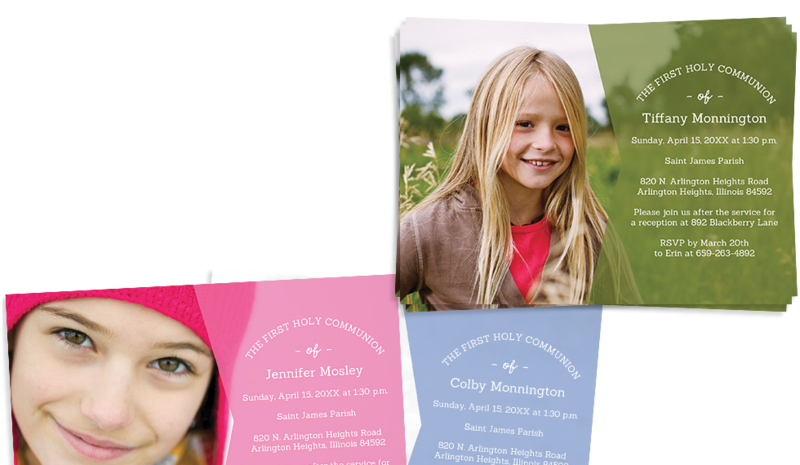 Communion designs - all with free shipping. 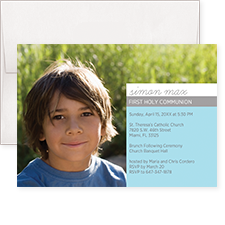 We provide instant proofs at no charge with every First Communion invite you order. You're covered by our error-free guarantee! 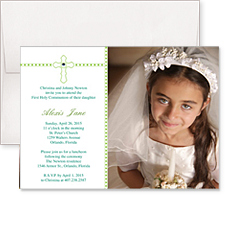 Looking for a custom Communion invitation, thank you card or keepsakes? 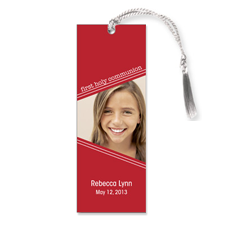 We have artists on staff that can create something special to match your child's upcoming First Communion. Give us a call! Our goal is to provide you the quickest, simplest and most worry-free shopping experience possible. We're here to help! 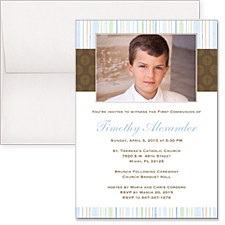 Follow us on social media for giveaways, party planning tips and exclusive promotions on invitations, stationery and party favors for all of life's most memorable moments. 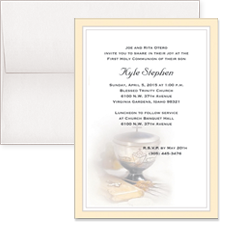 "Thank you for your help.. the cards were perfect and they are so beautiful!!! 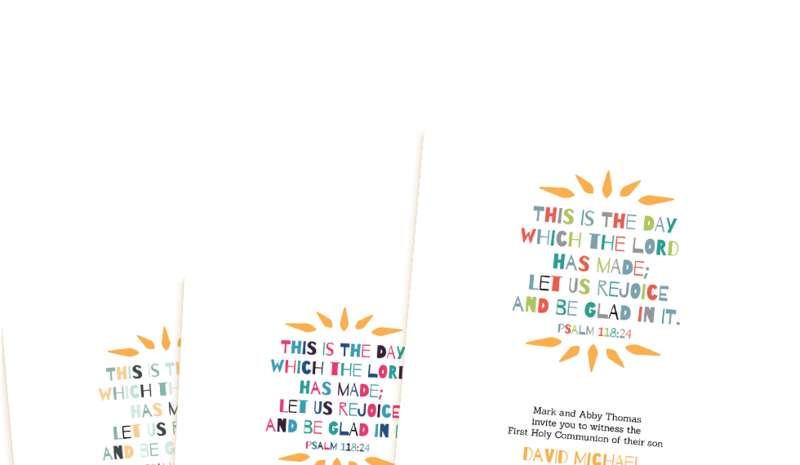 Thanks so very much for a great customer service" - Vanessa C.
"When I got the package, I was not only impressed by the designs, but also by the quality of the cards and other items." 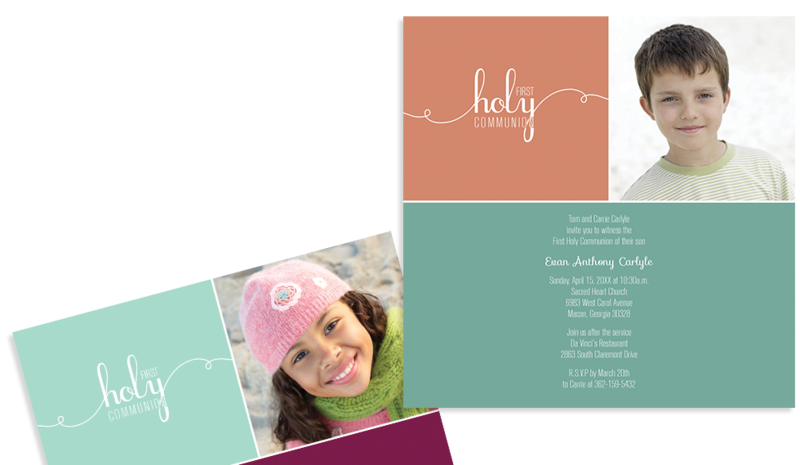 - Angie K.
"The site is a nice one and the invitations and favors look really lovely" - Julie D.
Click here for more reasons to choose CommuninCards.net. 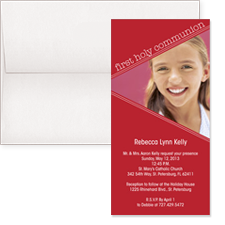 At CommunionCards.net, we know how important the First Holy Communion of your son or daughter truly is. 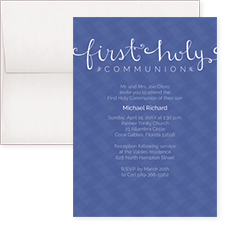 Outstanding customer service, matching stationery ensembles and unrivaled invitation quality are just a few unique benefits you can expect when ordering your First Communion cards with us. 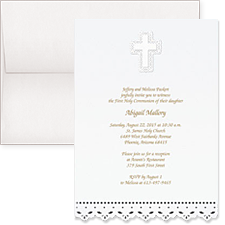 We are a Catholic owned business that can genuinely appreciate the religious significance of this blessed Christian Sacrament. 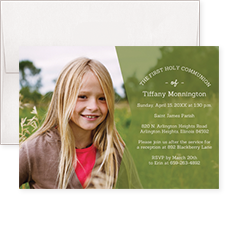 We promise your First Holy Communion invitations, thank you cards and photo bookmark favors will be perfect - because your satisfaction is guaranteed!